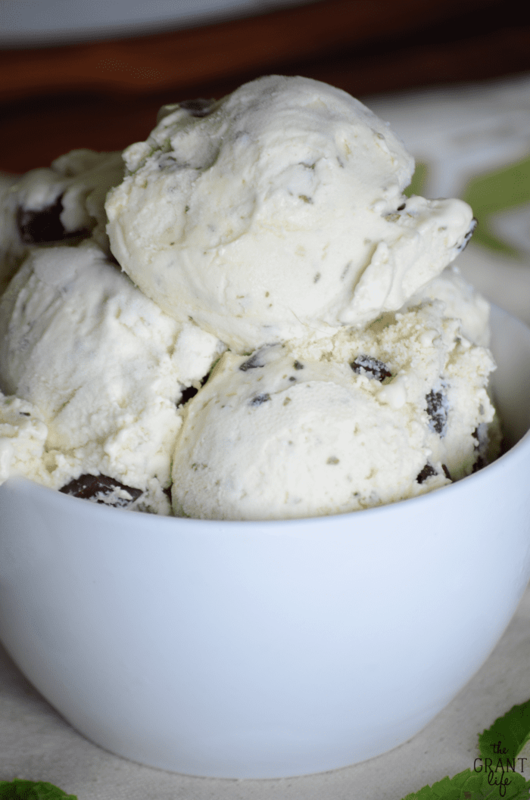 Super creamy, this homemade mint chocolate chip ice cream is a family favorite. Yall. I signed the kids up for peewee soccer last week. One of our friends told me about it so I went and signed up my monsters. Their first practice was two days after so we headed to the sports store to buy shin guards and cleats. Which was a hot mess in itself, but we got what we needed and no one got hurt. I’ll take any win I can get yall. Their first practice was hilarious. I know I probably shouldn’t say that about my own children, but it was so so funny. But not just my own kids, but all the kids were hilarious. I’m pretty sure it is most of the kids first time playing soccer and gah, it’s pure comedy. Kids were going rogue and just running to opposite fields. Butterflies were being chased. Some kids were upset and threw tantrums. Not mine for a change. Ryley was all about it. She was running and kicking and shuffling like a pro. It was crazy to watch her run. She had pink shorts on, a bow in her hair and a headband too. Because the bow wasn’t enough. But she was all about running as fast as she could and showing off her new found skills. Nothing girly about her when she got on the field. She was zoned in and ready to play. Avery? Well he kind of skipped to his own beat. He can run fast, I’ve seen him do it. But he refused to do anything of the sort on the soccer field. He just took his time and skipped along during the running drills. And smiled and laughed when he was doing it. He just beats to his own drum that one. The second practice he spent about 10 minutes telling me he didn’t like soccer and didn’t want to play. Whaaa?? Look son, I bought the skin guards and cleats. Get out there and get excited. Thanksss. He eventually realized he liked soccer and went back to play with his friends. Then they did 2 on 2 matches and he was pumped. He went after the ball and just kicked as hard as he could. And he fell right on top of the ball. It was a Charlie Brown/Lucy moment but no one was holding the ball. He jumped up and laughed so hard. I recorded their little match and it ended up being one minute and 49 seconds. (They just played til one side scored.) He fell 3 times trying to kick the ball. One time he took down his friend with him. He was fine each time and got up laughing each time. I think, he’s back to liking soccer again. And a quick note on this ice cream. Delicious. That’s it. Ha! No, kidding. 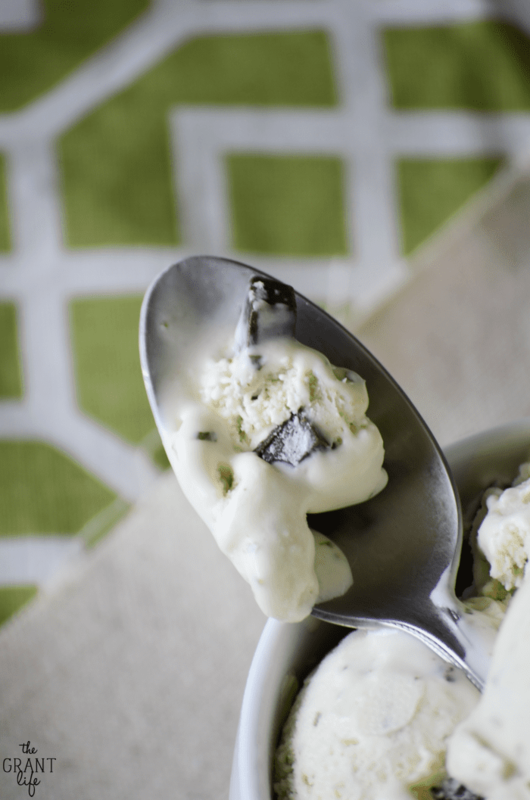 It’s super creamy and man, does the fresh mint shine through. I used dark chocolate chips because I’m a dark chocolate fan. Feel free to use whatever you like. Enjoy! Blend the milk, cream and mint in a blender or food processor. Add the mixture to a saucepan and heat until almost boiling. Reduce heat and simmer for 7ish minutes. In a separate bowl, beat the eggs and sugar together until thick and pale. Slowly beat the milk into the egg mixture. Place the bowl over a saucepan with boiling water creating a double boiler. Allow to simmer until it coats the back of a spoon. Remove from heat, cover immediately with plastic wrap (so a film doesn't form). Allow to cool completely, then refrigerate for at least one hour. Once chilled, churn in an ice cream maker for about 15 minutes. Add in the chocolate chips just before the ice cream has set - around the last 2-3 minute mark. Serve immediately or cover and freeze for later. 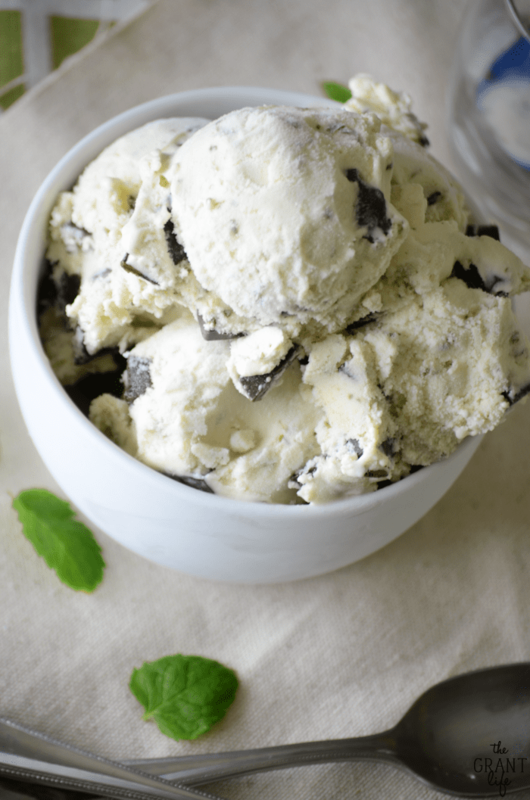 Coming home to a tub of HOMEMADE creamy mint chocolate chip ice cream would be the ideal after soccer treat!! 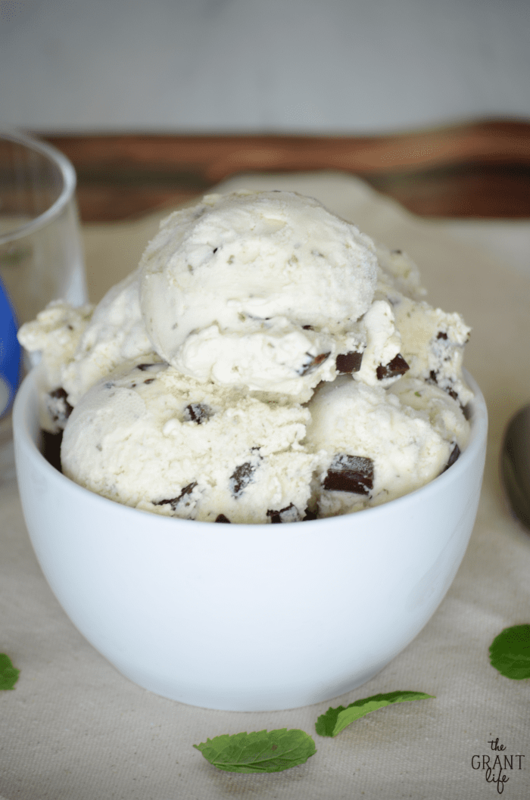 Mint Chocolate Chip has been my favorite ice cream since I was little… and I’ve never made it at home!!! Until now! YUM! Mmmmmm this would be a family favorite in my house too! Totally! Everyone loved it here! Reason #3429 I need an ice cream maker!! 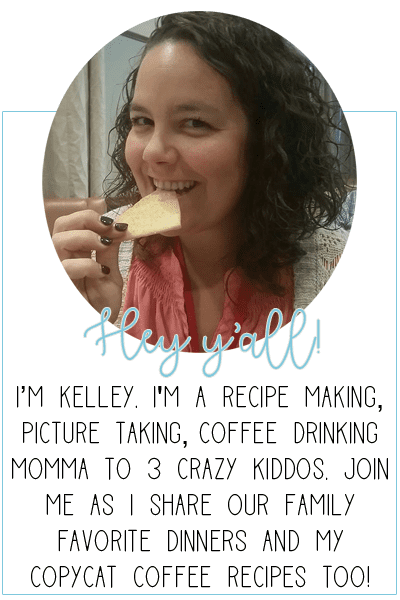 I totally think it’s okay to laugh at (I mean, with) your kiddos. They keep life interesting! And I LOVE mint chocolate chip ice cream! Looks delish. 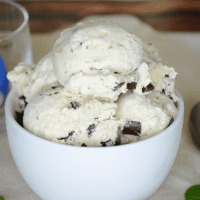 I haven’t used my ice cream maker yet this summer, but this recipe looks like the perfect reason to get it out and make some ice cream! Great way to break in an ice cream maker! Enjoy! 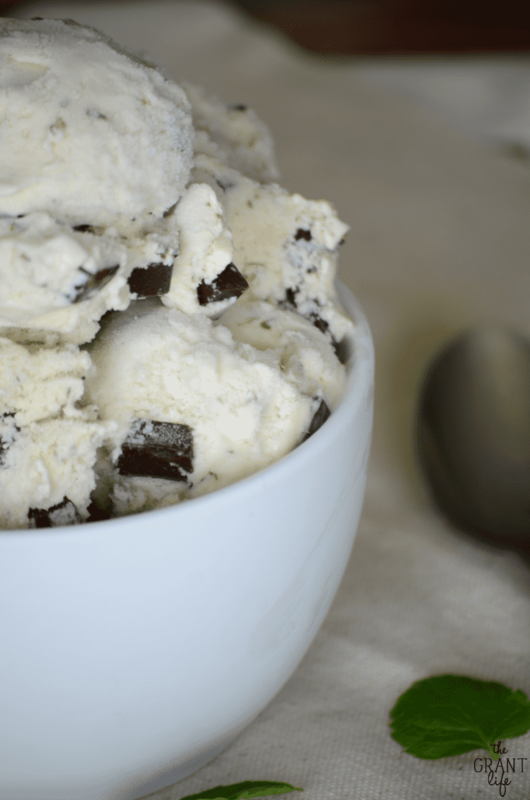 How much ice cream does this recipe yield? It should yield just under 4 cups of ice cream.